BRANDON, Man. – A business proposal put together by a pair of Brandon University (BU) students had a nice ring to it. 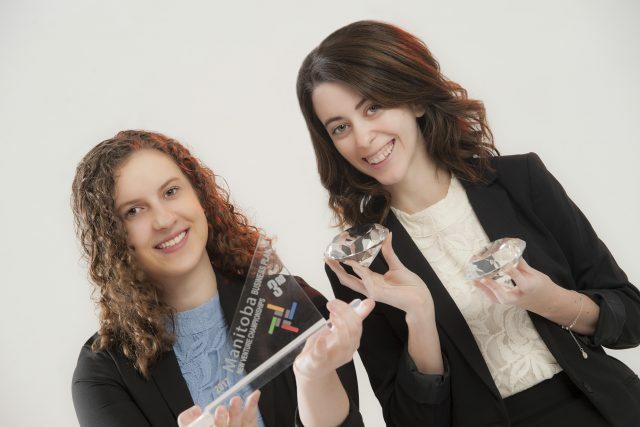 By combining wedding planning and technology, Linaya Davis and Catherine Dubois found a match at the Manitoba New Venture Championships this month at the University of Manitoba. Davis and Dubois were awarded third place in the category of Best Business Plan Presentation for their pitch for Before I Do, an online and app-based business that would provide wedding planning services to the general public. The New Venture Championships featured 12 entries from post-secondary institutions from across Manitoba. Their business plans, presentations and logos were judged by a panel of Winnipeg business professionals. This is the second straight year that a team from BU has finished in the prizes. Last year Michael Gall and Tanner Price won the award for Best Written Business Plan for their proposal for Precision Vehicle Transport.